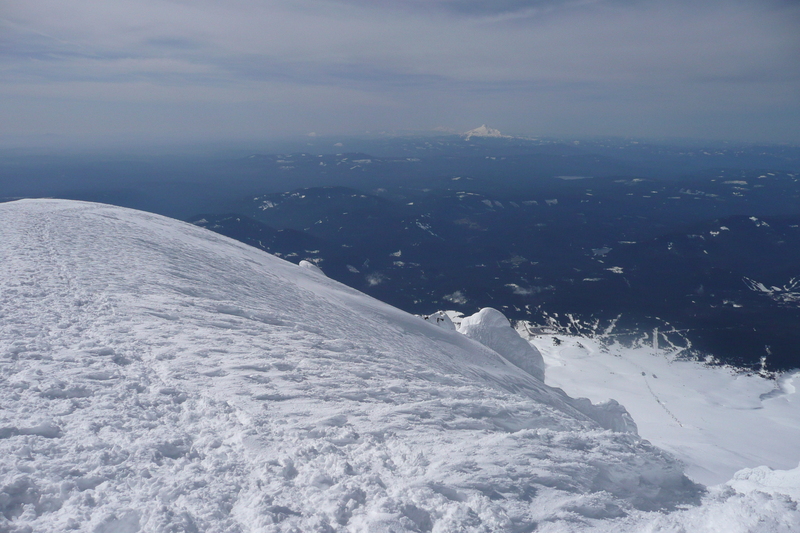 Here are a few shots from my 2010 Hood warmup to the climbing season. 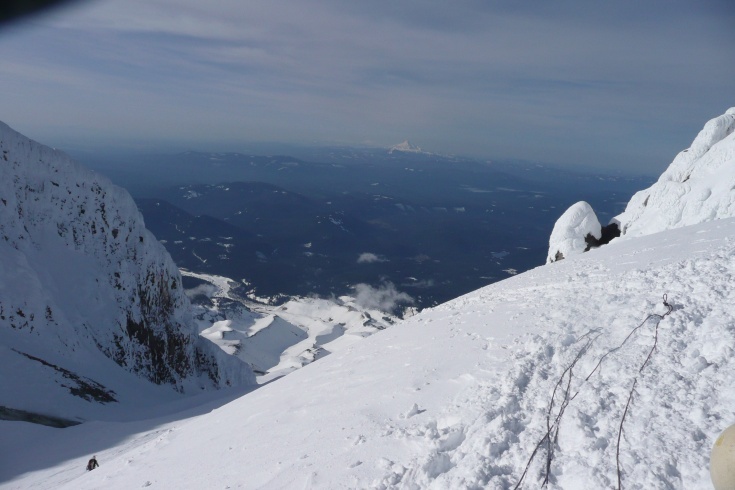 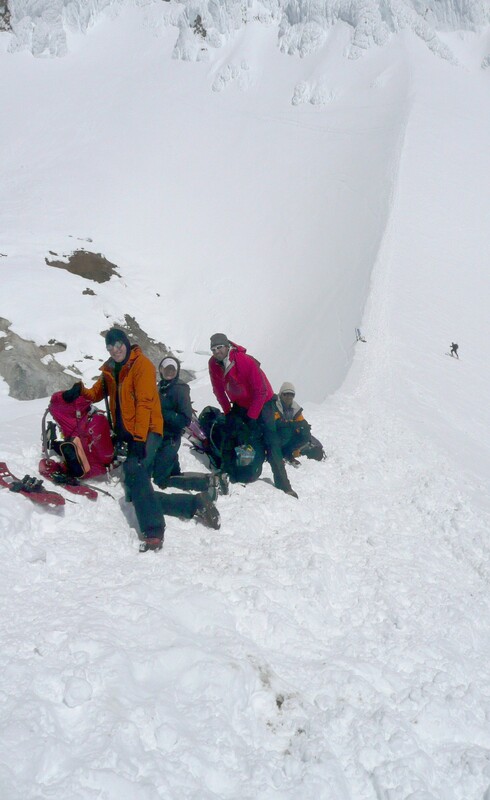 A quickly assembled Mazama climb on a perfect day. 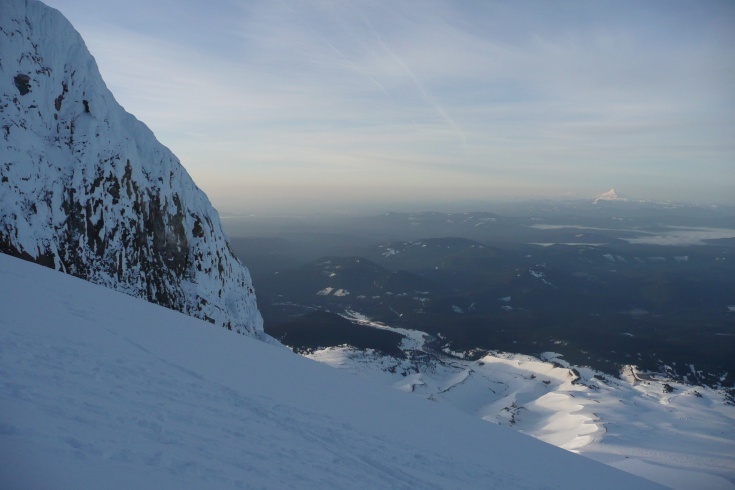 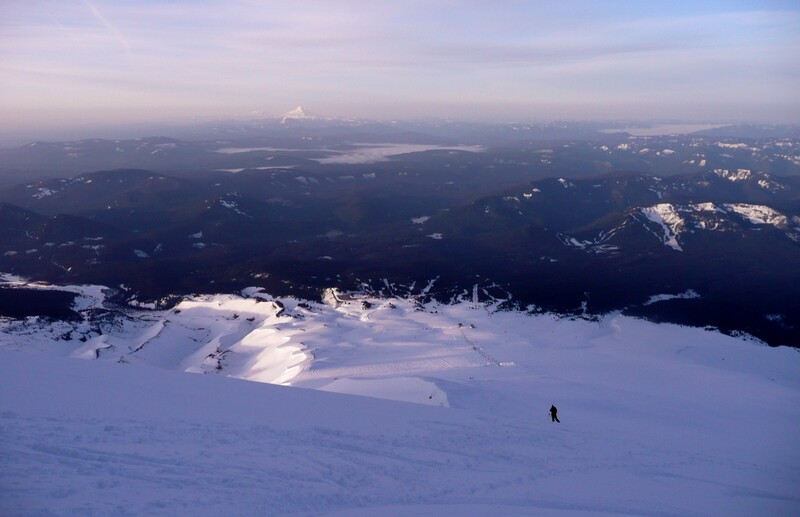 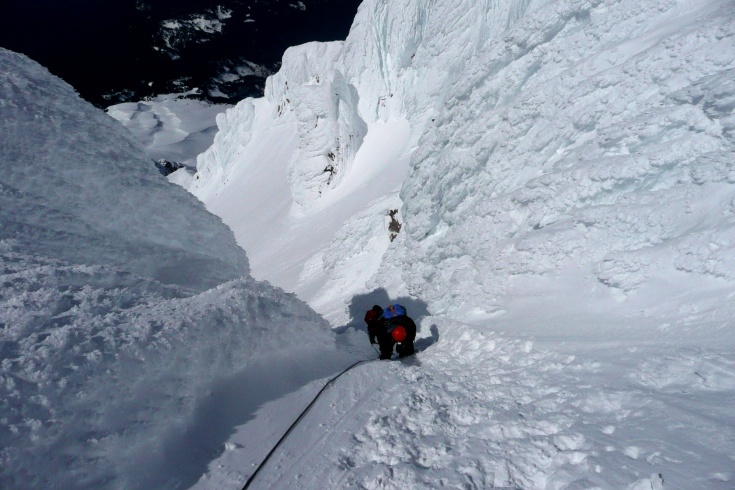 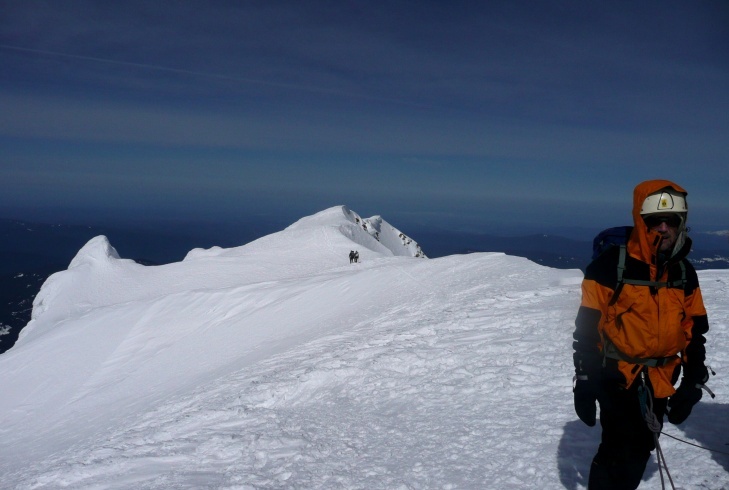 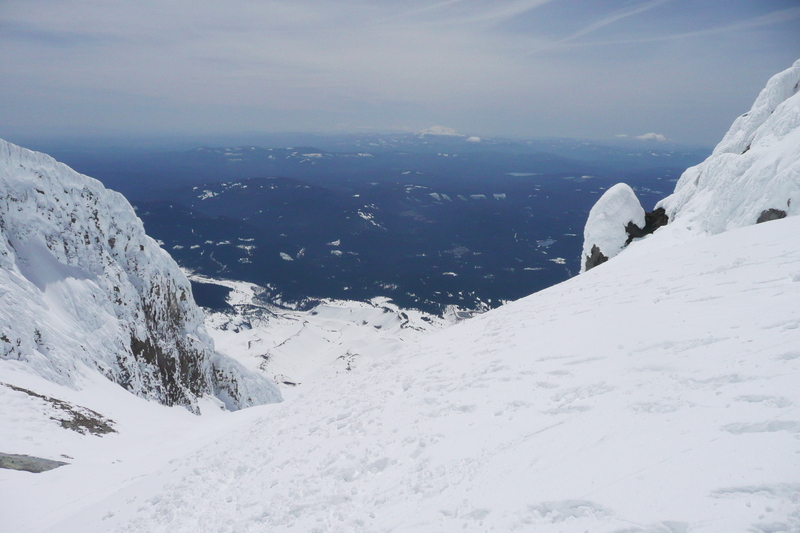 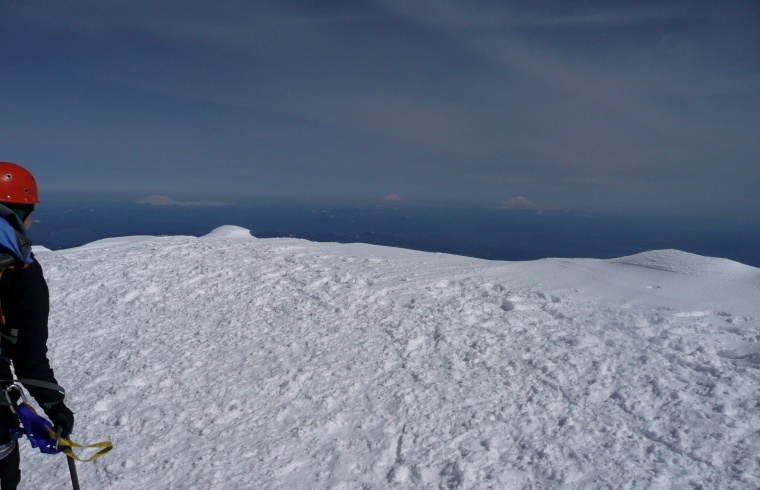 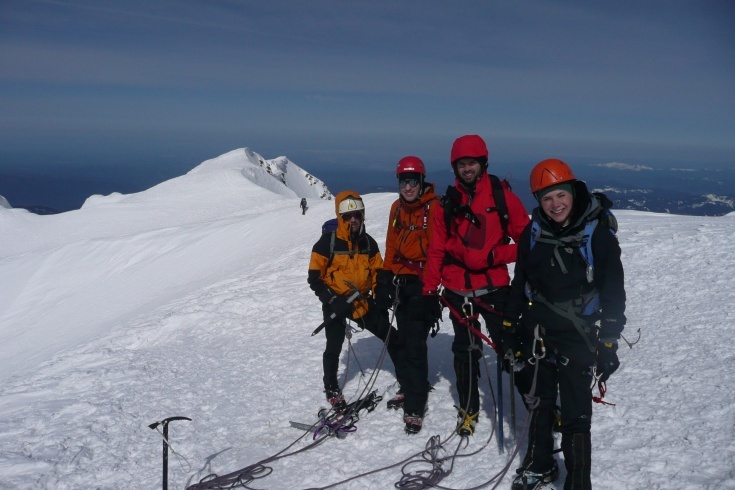 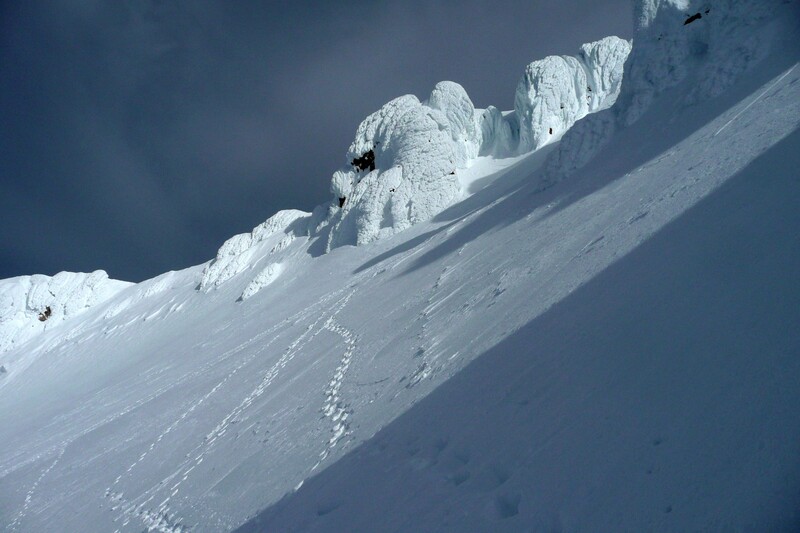 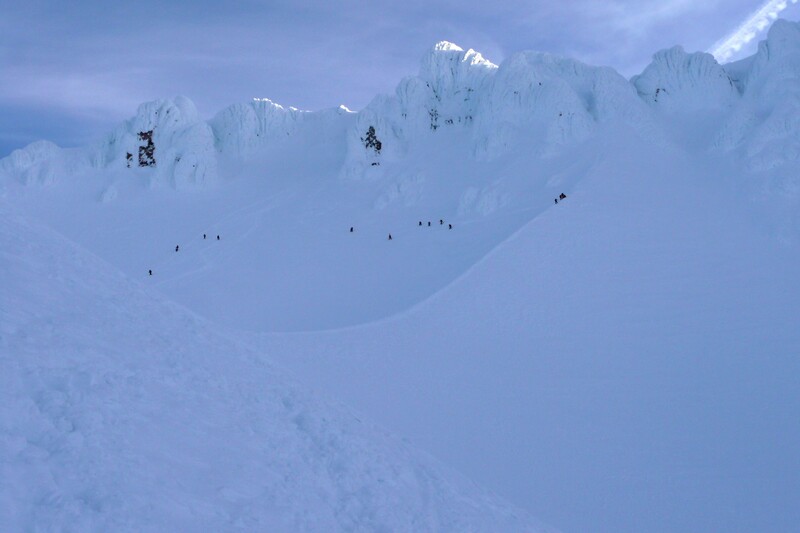 Hood was truly resplendent - perhaps the most glorious day on Hood I've seen, consistent with safe climbing conditions. 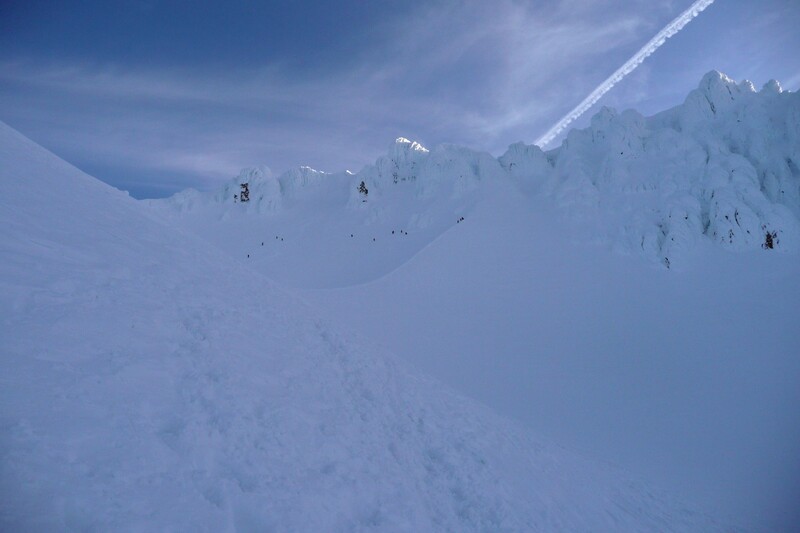 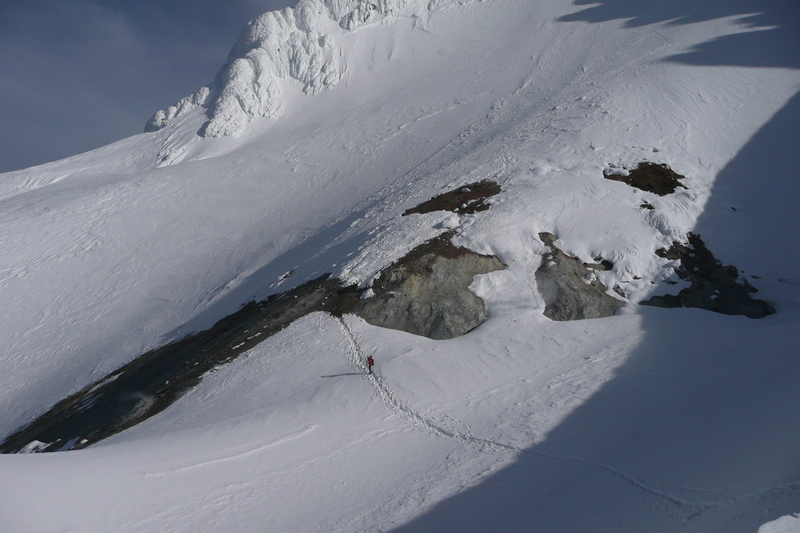 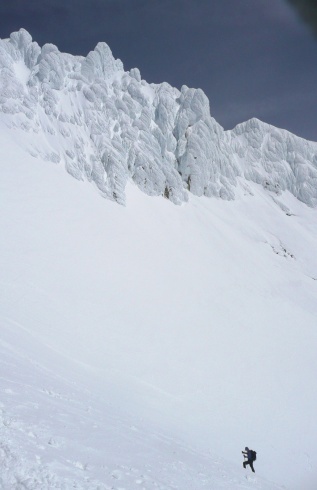 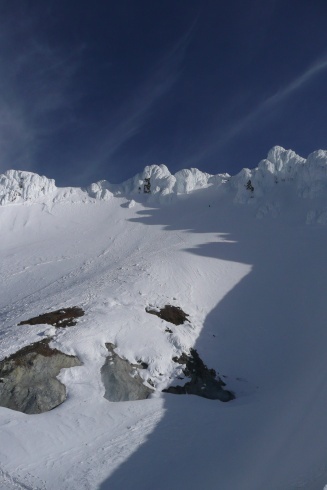 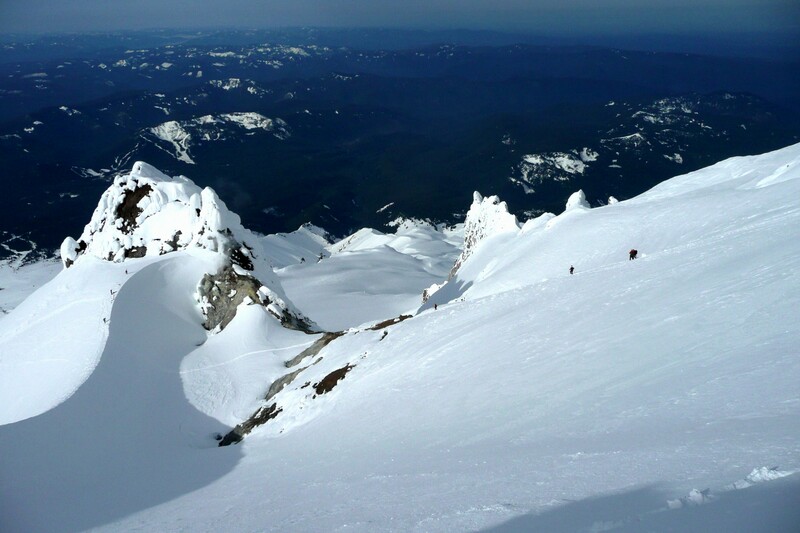 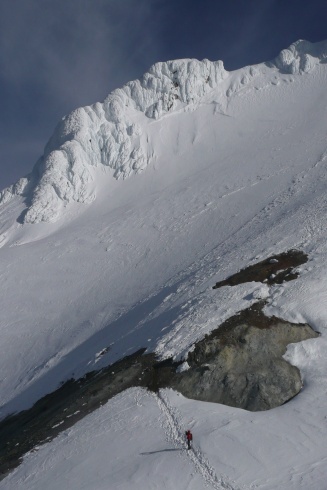 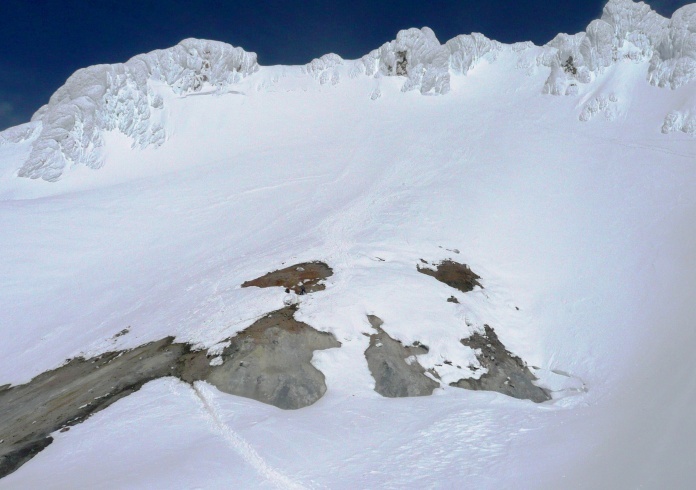 If only I trusted my knees to ski it, because it was the deepest, most perfect powder I've seen in the crater - watched several folks tele-ski the old chute right off the summit ridge. Temps stayed moderate all day, allowing us to relax and recover in hazy sun and calm winds both directions on the Hogsback. 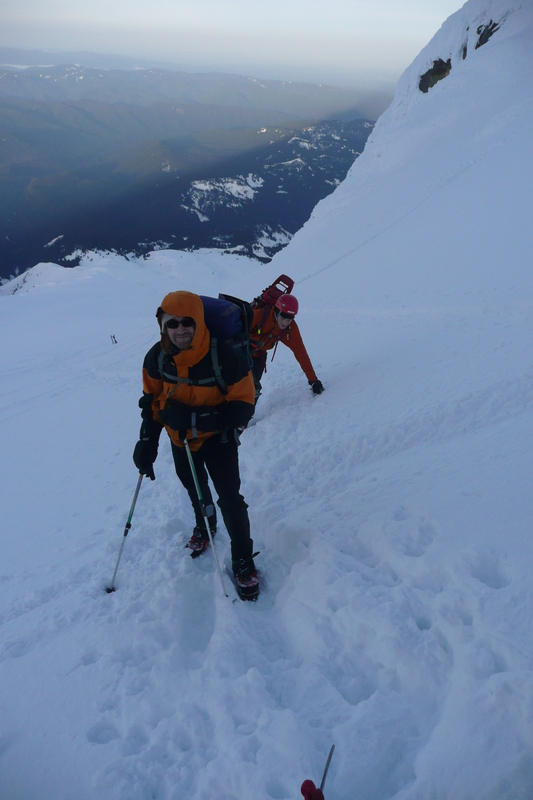 Here's a link to the writeup of one of the team members, Caleb Sattgast, that captures it well.